One thing that can really have someone feeling insecure about their smile is having teeth missing. Aside from being aesthetically unappealing, having a smile that is incomplete can have damaging effects on someone’s self-esteem and the way they interact with others. Though there are many ways a person can lose a tooth, or several teeth, the result is nearly always the same: someone feeling less than confident. 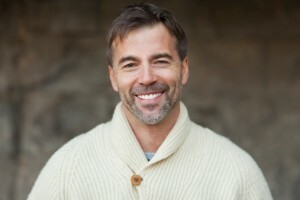 Though it may seem as though there is nothing you can do to restore your smile, Dr. Rick Cofer is able to rejuvenate the smiles of his patients by offering dental implants at his Waco, TX dental office. One of the wonderful things about Dr. Cofer performing your dental implant procedure is the fact that everything can be done in the same office. Unlike some other dental practices that send you to multiple offices to get the procedure done, Dr. Cofer is able to take care of your procedure from beginning to end in one place. Also, Dr. Cofer has had extensive training and success in dental implantology, accumulating an astonishing 192 hours of study. There is no doubt you will be in excellent hands with Dr. Cofer performing your procedure. Dr. Cofer will set up a consultation with you, where he will be able to assess your smile in its current condition, and determine whether or not dental implants are right for you. Dental implanting involves embedding a titanium post into your jaw bone, which replaces the missing tooth root. Over time, the post will fuse with the bone in your jaw, creating a strong, lasting bond. After the right amount of time has passed, your tooth-resembling crown is placed on top, making your smile look natural and organic! Dental implants can also be used to support dentures and partials, eliminating the embarrassment of slippage and the inconvenience of denture creams. If you would like Dr. Cofer’s help in completing your smile with dental implants, contact our office today! by: Dr. Rick Cofer at August 13, 2014 .